The Columbus Dispatch reportedly obtained a memo from Ohio State University President E. Gordon Gee that states Jim Tressel has announced his letter of resignation. 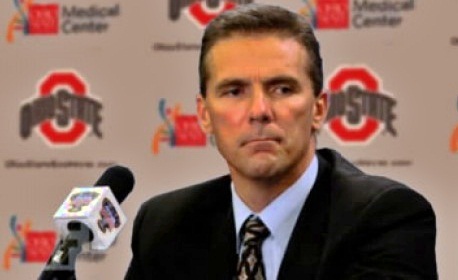 “I write to let you know that later this morning we will be announcing the resignation of Jim Tressel as head coach of the University’s football program. As you all know, I appointed a special committee to analyze and provide advice to me regarding issues attendant to our football program. In consultation with the senior leadership of the University and the senior leadership of the Board, I have been actively reviewing the matter and have accepted Coach Tressel’s resignation. This news isn’t quite shocking because of the allegations the football program has been under in recent months. However, Tressel made a pact with his star players accused to committed wrongdoings to stay at the program and serve a five game suspension. He was also planned to serve said suspension and return to coach the team afterward. 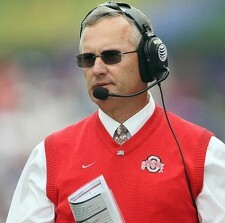 Below is a video from ESPN looking at the legacy of Tressel coaching career at OSU. For most college football programs offensive line is their top priority. For one school this won’t be a problem. Whoever signs North Oconee High School’s Joseph Scelfo will get a solid lineman who can play both center and guard. This 6`2 275 pound guard has both power and excellent technique. But more importantly he has great leadership skills and superb academic success (3.43 GPA). 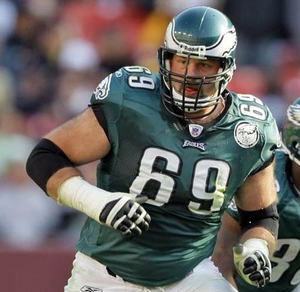 The cornerstone of any successful team requires a solid group of offensive linemen. This collective group of men is responsible for the success or failure of each offensive play. He began his high school career as a starting sophomore and never looked back. Scelfo is a leader on the Titans offensive unit. Registering a career high 11 pancakes in a game, Joseph Scelfo is the truth. As a result of his exceptional play he has been the recipient of All region and All Area awards. His play hasn’t gone unnoticed, schools including UAB, Marshall, Ole Miss, Georgia Tech, Wake Forest, Miami, UL Monroe, MTSU, Furman, Wofford, Syracuse, Samford, UCLA, South Carolina, and Virginia Tech has begun sending him mail. 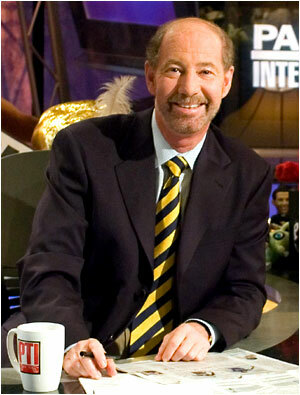 His sports heroes include Todd Mclure, Tony Gonzalez, Jeff Saturday, Walter Jones, and Chris Scelfo. His play reminds me of linemen like Walter Jones, Jon Runyan, and Larry Allen. This kid has pure talent and an enormous upside. A great addition to whatever university he decides to attend. Michigan football over the past few years hasn’t lived up to its storied history as a football powerhouse. Their down fall started under the direction of Lloyd Carr and continued under Rich Rodriguez. This season they are hoping to begin their turn around under new head coach Brady Hoke. 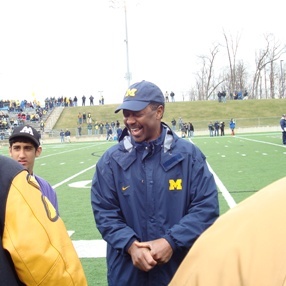 When Hoke was hired, he spoke about bring the tradition back to Michigan Football. Part of that tradition is winning and beating their hated rivals. However, recently many football rivalries were dwindled because of the lack of production of the wolverines. This doesn’t sit well with the new coaching staff. New running backs coach Fred Jackson reflected on losing three games to Michigan State and Ohio State over the last three years. This week the #1 team in the BCS won their game. The Oregon Ducks stumbled out of the gates against the University of Southern California before making a impressive showing in the second half. 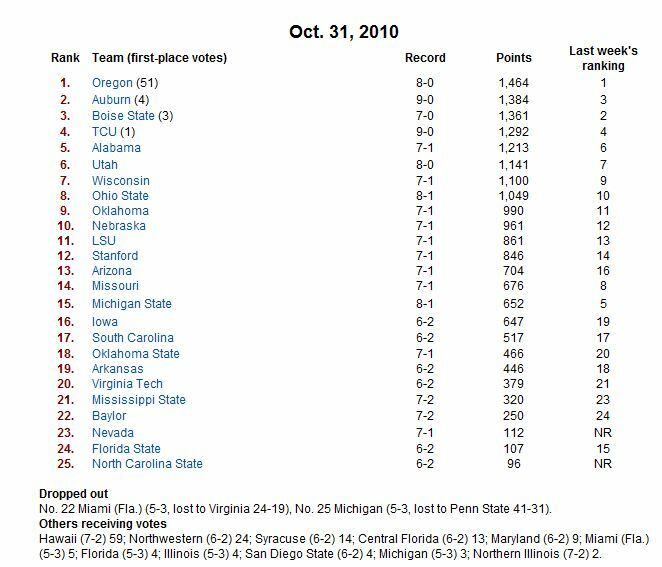 Also in the USA Today coaches’ poll Auburn overtook Boise State in the #2 position. 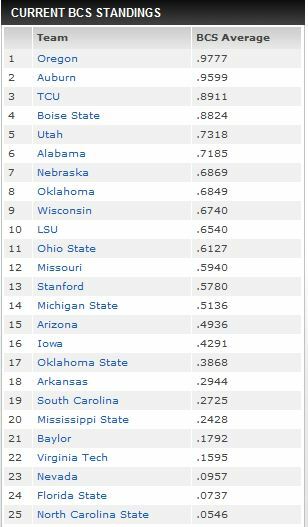 Nevada and North Carolina State moved into the top 25. While Miami and Michigan dropped out. The Big East again has no teams in the Top 25, however, Syracuse did receive votes. Yeah ok I know you’re going to say it’s entirely too early to start predicting bowls. Well its something fun to do. Our friends from CBSSports had a great video with their predictions, so I decided to make some of my own.